Welcome to my legal services website. 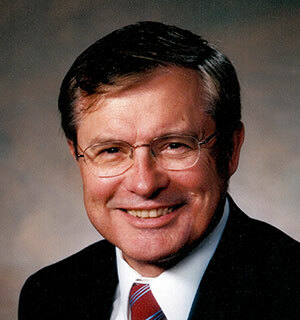 I have been a practicing attorney for over 40 years. My office is located at 120 Broadway, Farmington Maine. Call 207-778-6644, or email roncull@gwi.net. After graduating from the University Of Maine School Of Law, I worked as an Assistant Attorney General (Maine) and later worked in Washington, D.C. as Assistant General Counsel for the U.S. Army Corps of Engineers before returning to private practice in Maine. I truely appreciate that not all clients’ needs are the same and that legal complexities can be stressful and difficult. My goal always is to provide the best legal advice available under the law in a thorough and respectful manner. I will cut through the legal jargon and explain things in plain English so that you, as my client, will make informed decisions. I have experience in land use leases, boundary disputes, agreements and, more recently, easements for satellite and cellphone transmission towers and negotiating with wind turbine companies for the land owner. I have experienced paralegal and secretarial staff to help ensure delivery to you of those support services that are so critical for high quality legal advice and representation. I am admitted to practice before all courts in the State of Maine and over the years have represented clients before the Maine Supreme Court. I have appeared in courts in South Carolina, Michigan and Massachusetts, pro hac vice. Growing up as part of a large family in Farmington, I learned early the value of good negotiating skills. I am currently a member of the Farmington Lions Club and serve on the Franklin Memorial Hospital Advisor Board. I have also served on many other boards and community organizations. When choosing an attorney for complicated legal matters you should always have the most experienced attorney to advise you. I have the skills, the years of actual experience and the knowledge necessary to give you the best chance for success in your legal matters. If you have a legal matter, do not hesitate to contact me with your questions. There is no charge for initial telephone calls. 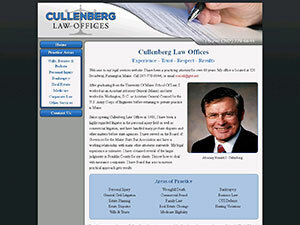 Copyright © 2019 Cullenberg Law Offices. • Website design provided by PHD Consulting, a Maine company.